LEDs are always worthy of a recommendation, however, they are no longer an insider tip, but are increasingly becoming the standard in household lighting. This is mainly because they have an extremely high energy efficiency: i.e. 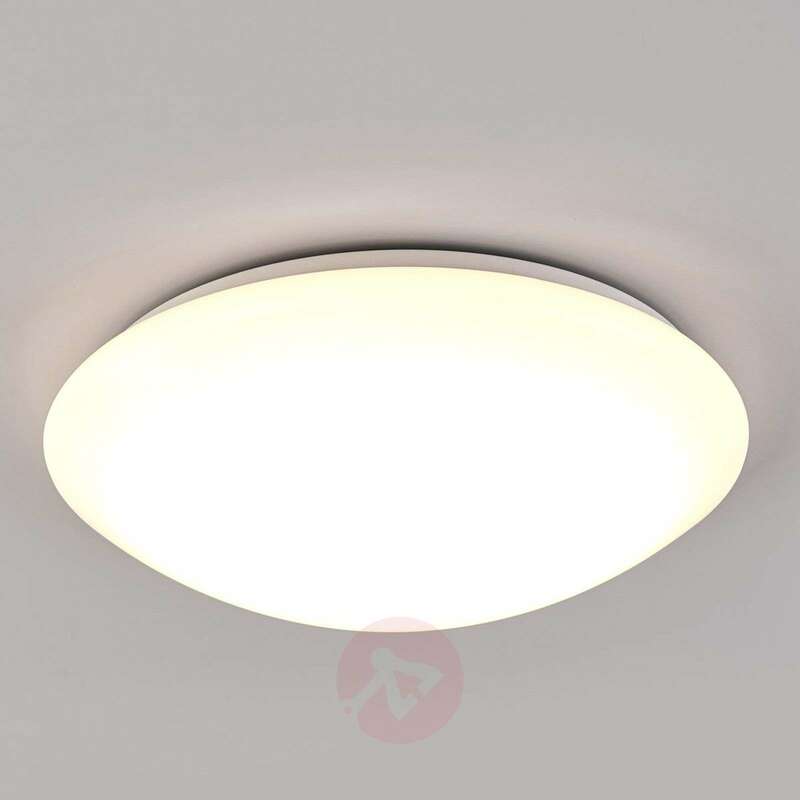 it generates bright light without consuming much power. 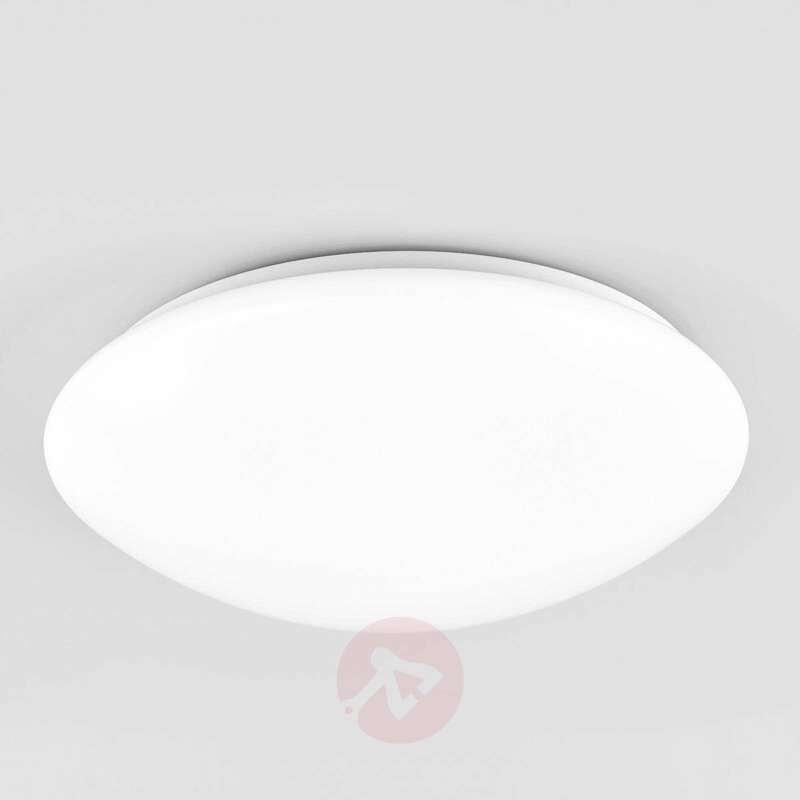 This LED ceiling light is characterised also by the fact that it has a universally usable round form and therefore is a true all-rounder, but also by the fact that it can be used in the bathroom without hesitation, since sufficient protection for use in damp rooms is offered with the IP code IP44. 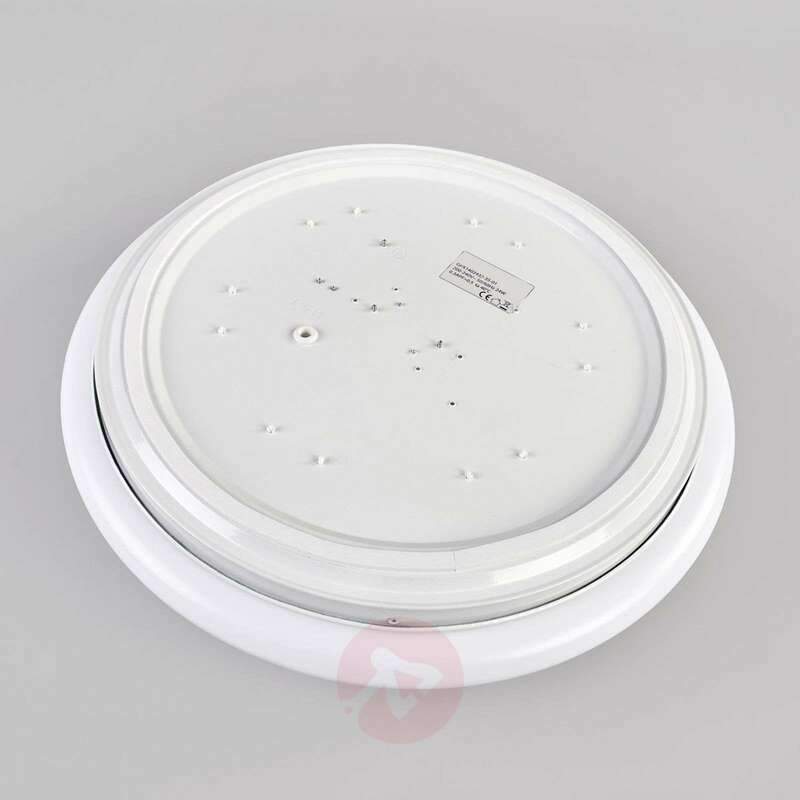 If desired, the bathroom ceiling light can also be used as a lighting for terrace, hallway, or entrance. 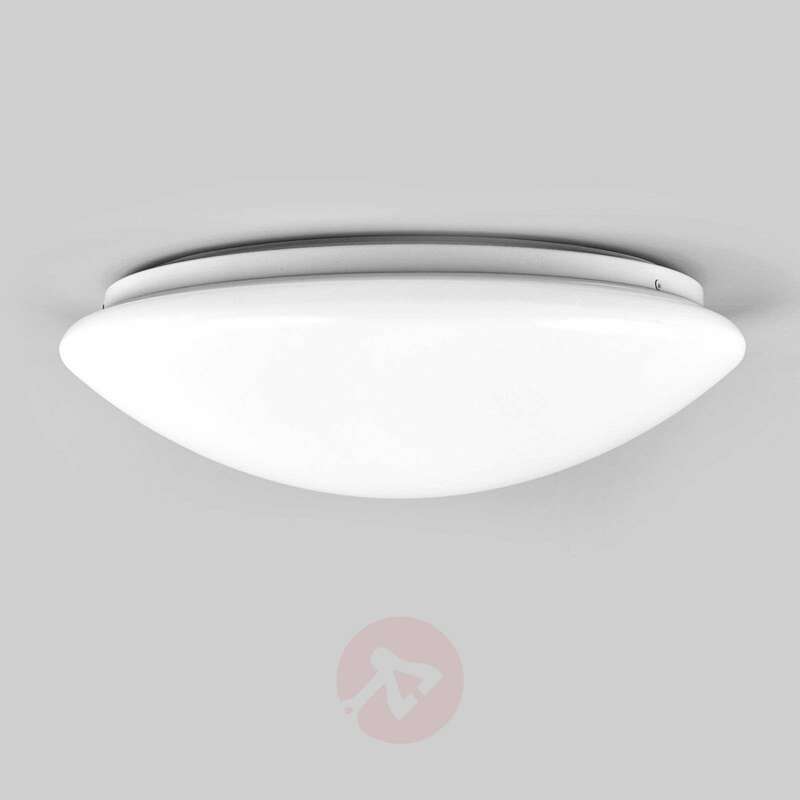 Can this light be used with a dimmer switch? 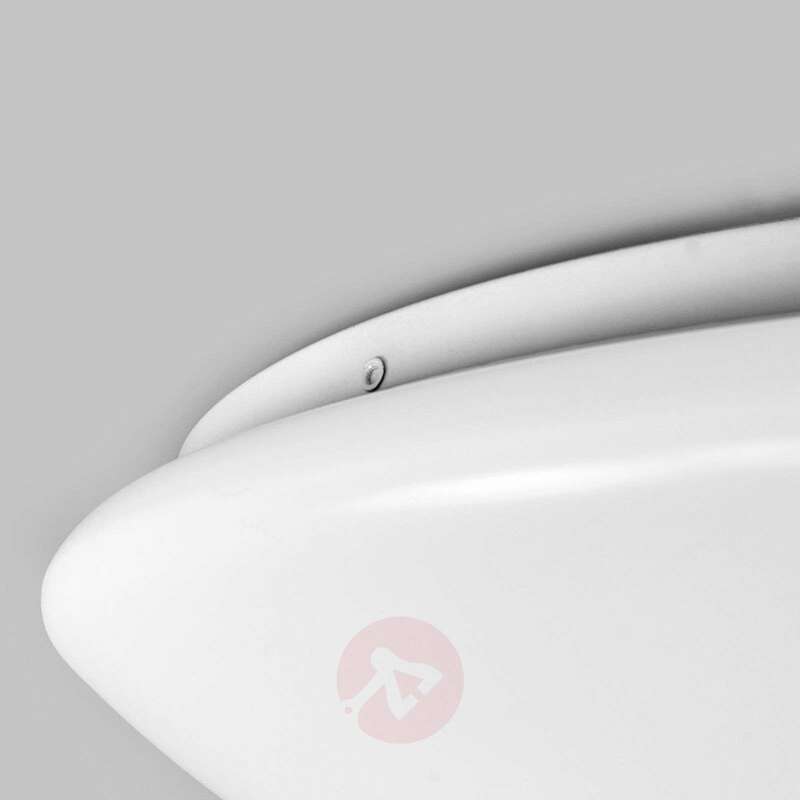 Due to the permanently fixated LED's and the fact that the luminaire does not have a built-in dimming function, it won't be possible to use this light with a dimmer switch as it is not dimmable.